This year the people of Eritrea have been celebrating the silver jubilee of their country’s independence since 1991. 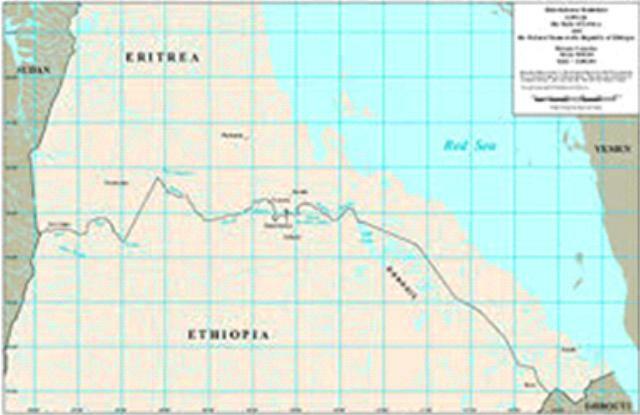 During the difficult years of the war for independence, very few people believed that Eritreans and their leadership were capable of this historic achievement as the odds were overwhelmingly stacked against them. Unlike in other liberation struggles, it was both superpowers, the United States and the Soviet Union, and not one or the other, who sought to crush by armed force their aspirations for self-determination. But the Eritrean people and their liberation movement, the Eritrean people’s Liberation Front, the predecessor of today’s People’s Front for Democracy and Justice, believed in the justness of their cause and in their own determination and capability to win the war fair and square, to prevail in an unequal battle. 1 ـ على اثيوبيا ان تنسحب من الاراضي الارترية المحتلة على الفور ومن دون شرط أو قيد.